Have you ever wondered, “Where can I find rental shipping containers near me in Portland, OR?” Our guess is that’s why you’re here, and we’re here to let you know that Haulaway Storage Containers has all your storage container needs! We pride ourselves on our speedy delivery of high quality units right to your front door, and we boast the fastest shipping in the business! Once your order is promptly processed, we will do our best to deliver your storage container the next business day. We stand out from the rest because since day one we’ve focused on building the most successful business in rental storage containers. Almost 50 years ago, our then small business began with just one delivery truck and 10 portable storage containers. From such humble beginnings, we’ve grown into a truly successful company in shipping container rentals. 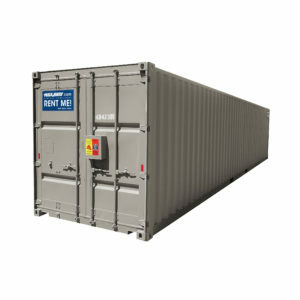 From Arizona to Utah, Haulaway Storage Containers has dominated the Western United States market in shipping containers. You might ask “What makes Haulaway the best storage containers rental near me?” For starters, our high quality containers are the best storage solution for individuals who need temporary storage but would prefer to keep their belongings close by. Whether you plan to remodel your home, or need onsite construction storage for tools and supplies that are necessary in some project, our portable storage units are the answer for you. The ultimate pinnacle of convenience and accessibility, a Haulaway storage container will save you valuable time and money in the long run. Think of the monthly rent and gas money that goes towards a standard self storage unit, for instance. And with options ranging from 10 to 40 feet, you’re sure to find the perfect fit with us. Give us a call today for your free quote, and we’ll get the ball rolling with your quality storage container rental!